Local markets on Wednesday’s, Thursdays and Sunday’s. Each very different in terms of setting, vibe and character. Two Sidi’s – Our recommended routes taking in two coastal villages marked by marabout domed whitewashed buildings honouring holy men. Hiking on Jebel Hadid – Only about 600 metres but offering excellent views of the sea and region. Day trips to Marrakesh. We offer superb 4×4 comfort and guiding with driver Hafid. With a transfer time of 2hrs 15 mins you can explore the famous jemaa el fna square. The labyrinth souks, Jardin Majorelle, Bahia palace and Koutoubia Mosque. Choose you own departure and return times and travel as an individual, couple or family. The day price is £110. 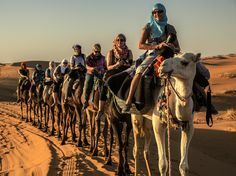 Great value guided Morocco tours. 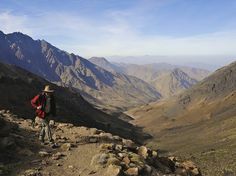 In other news, we’re intending to launch a new tour traversing both the middle Atlas and Rif mountains. 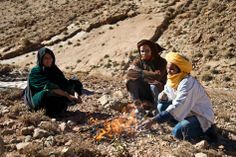 It will include the medinas of Fez and Chefchauouen as well some of Morocco’s rural splendour in off piste ascents. 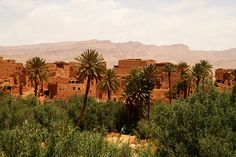 This tour begins in Marrakesh before we head up through the middles atlas and over the Rif to Chefchauouen at the tour’s most northern point before a fast return south. In total about 2200km. Our route will include all the green routes where possible (I’ve counted 5). We’ll be passing through many villages and I’ve included 2 country markets. 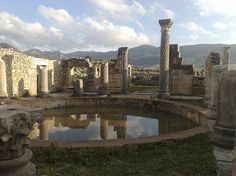 There are also the medinas of Fez and Chefchaouen, where we’ll stop for two nights a piece, otherwise the hotels are one night stops. Hotels are similar in standard to our regular tours and is priced at £2500 for couples. Enquire for prices for more than two people. Day 1 – Collection from Marrakesh circa 1pm. Travel to region Beni Mellal (4hrs), overnight region Khenifra. hotel Najah. 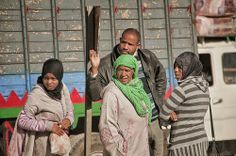 Day 2 – Travel towards Ain Leuh an Berber village with a large Wednesday market, ruined Kasbah and nearby waterfalls. Overnight in the region of Azrou and its cedar forests (3hrs). Include the Benedictine monastery Overnight region Azrou. Riad Azrou. Day 3 – Travel to Sefrou. (2hrs) It has a large Thursday market. Overnight region Sefrou. Day 4 – Travel to Fez. (1hr) Afternoon in Fez medina. overnight Fez. Day 5 – All day Fez. Overnight Fez. Day 6 – Travel north towards the Rif. 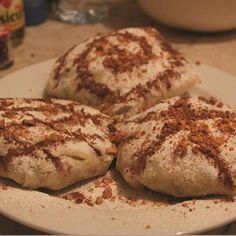 (3hrs) Overnight Taounate. 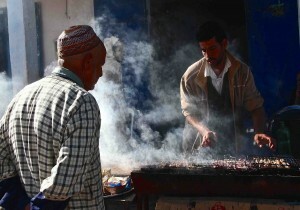 Day 7 – Continue over the Rif towards Chefchaouen stopping for lunch (6hrs). Overnight Chefchaouen. 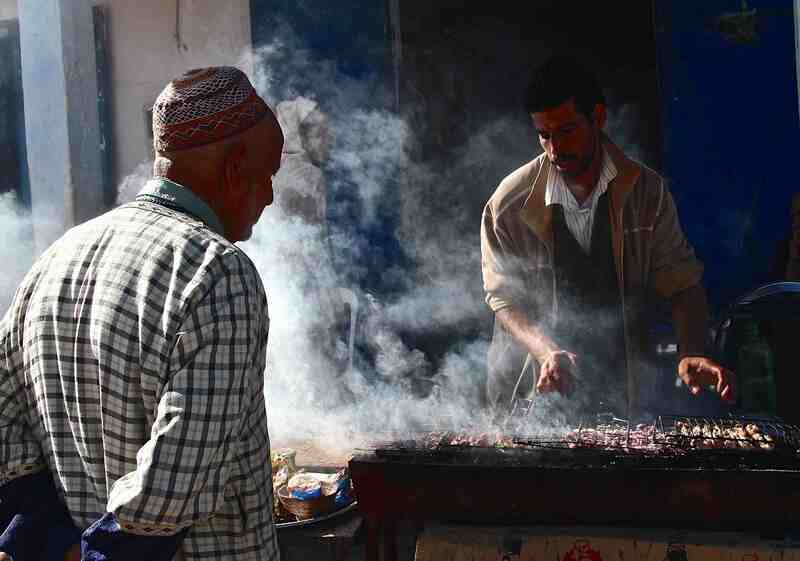 Day 8 – All day Chefchaouen. Overnight Chefchaouen. Day 9 – Travel back towards Marrakesh on A-roads. (3hrs). Overnight region north of Rabat. Day 10 – Photograph the nearby Jardin Exotique before heading to Marrakesh airport on the motorway (4hrs) arriving in time for an evening flight. We believe our guided Morocco tours offer exceptional quality and value for money. get in touch to find out more.